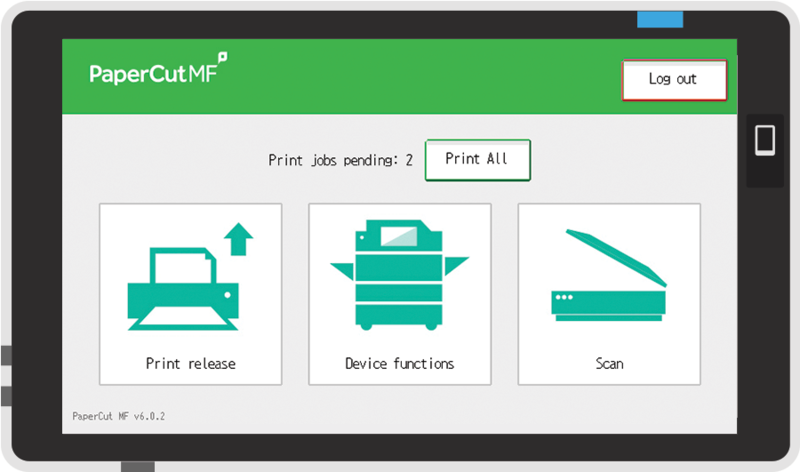 PaperCut MF - print, copy and scanning control for Ricoh MFPs. Take full control and manage your printing, copying, scanning and faxing with PaperCut MF on Ricoh printers and multifunction devices. Check here to see if your Ricoh MFD is supported for Integrated Scanning. 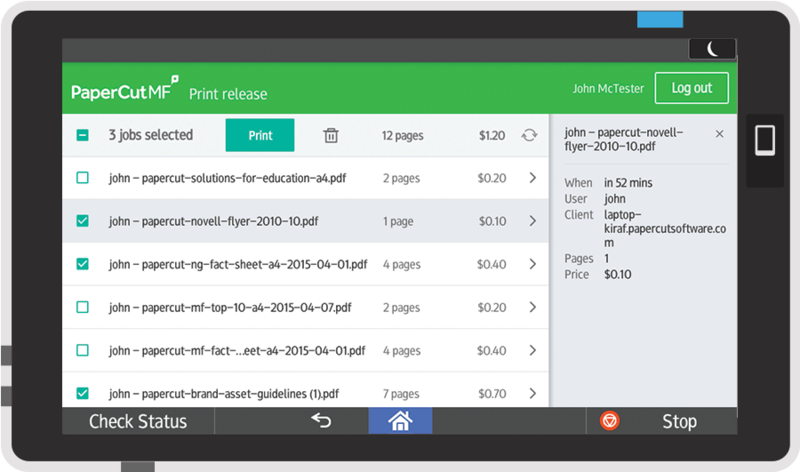 Put users in charge of their own documents with Find-Me printing ("Pull Printing") and their own devices with Mobility Print. 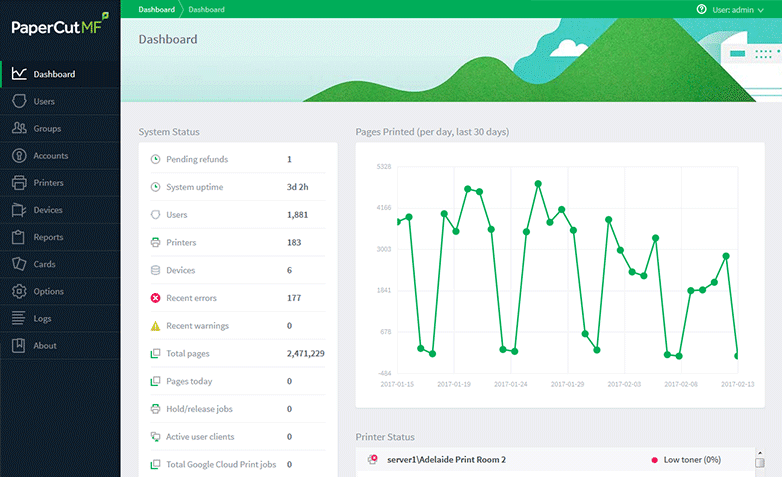 Set up printer job authentication for Ricoh login using Microsoft Active Directory, LDAP, or other authentication sources and enable Secure Print Release via proximity or swipe card. 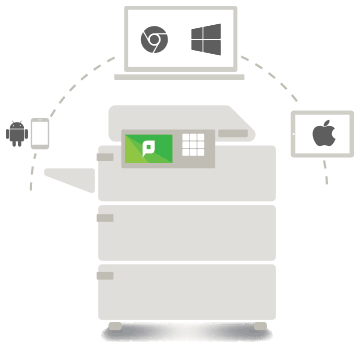 Whether you have a Ricoh Smart Operation Panel (SOP) or Ricoh Java-based platform (SDK/J), PaperCut MF's fully featured print management solution can help control and manage scanning, copying and printing. The Ricoh Java and SmartSDK versions run on the latest SOP devices. Got a favorite mobile solution? PaperCut MF supports all Ricoh MFDs with Embedded Software Architecture (ESA) SDK/J versions 2/4/5/7/10/11/12, or SmartSDK version 2.10 or later. The following table is an indication of the supported models, although newer models might not be listed here. If you are unsure as to whether Ricoh SmartSDK or SDK/J is supported on your model, please ask your Ricoh representative or PaperCut MF Reseller. Integrated Scanning is supported on the models listed below, except wide-format models (such as MP CW1201 and MP CW2201). A Java VM card is required and must be installed in the MFD by a Ricoh supplier. A hard disk drive (HDD) within the MFD is required. HDDs are not automatically included with some of the smaller MFDs and may need to be purchased separately and installed. Find out more about the Ricoh Smart Operation Panel in our Common Questions Knowledge Base article. PaperCut makes all attempts to keep the product compatibility information on this website current. However, we make no warranties, express or implied, with respect to manufacturers' products or the interoperation with the listed PaperCut product(s). We offer 40-day trial versions of PaperCut software to assist you with compatibility testing with your network setup.